Sound the skincare klaxon because Shiseido has hit the nail on the head with their latest launch! 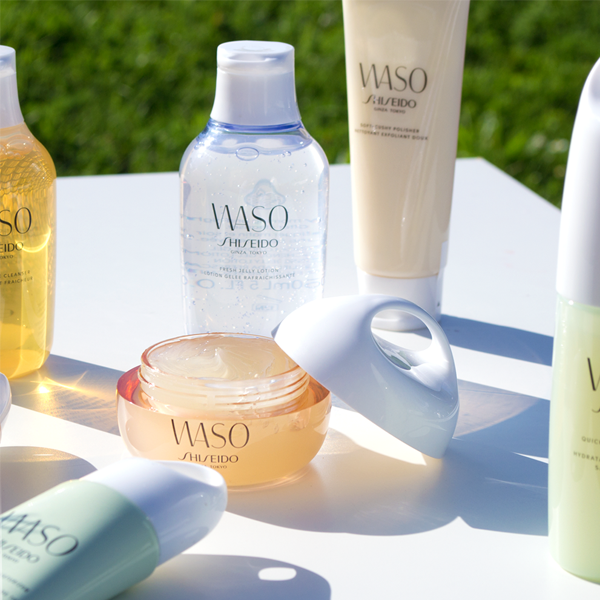 This September, Shiseido has unveiled, WASO, a new, Japanese-inspired skincare collection that’s made with a less is more mentality. 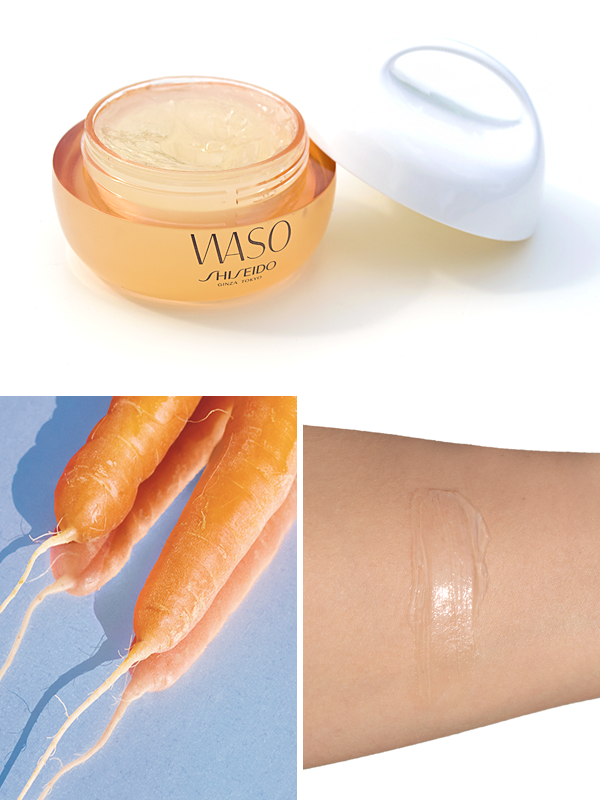 Designed for young adult skin, WASO is an opportunity to take your skincare routine back to basics. First things first, let’s talk inspiration. 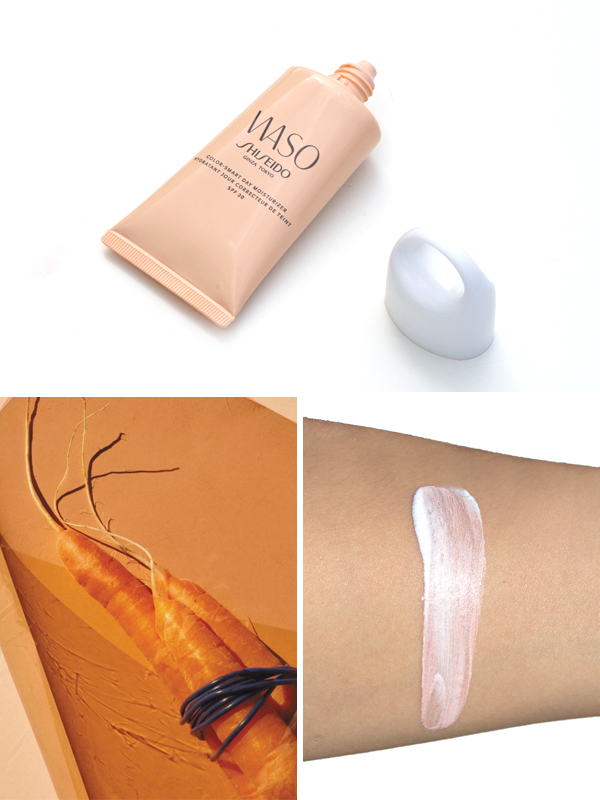 WASO is inspired by the Japanese food tradition of washoku, which is known throughout Japan for promoting health and beauty. 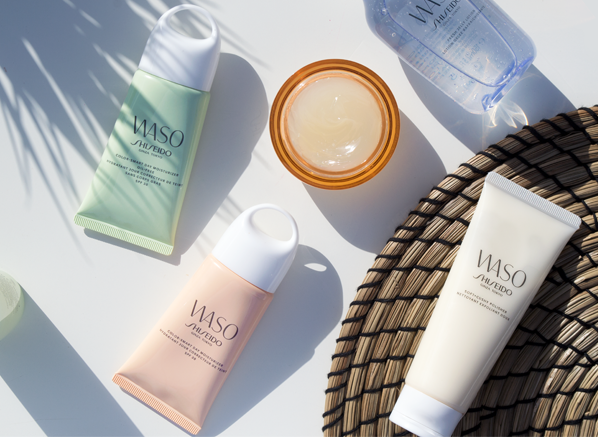 WASO is unlike anything else on the market because it’s formulated with nature’s finest botanical ingredients, but their inclusion isn’t what makes WASO unique, their extraction is! In most skincare formulations, botanical cells have to be crushed, so that they can be mixed with other ingredients – but not in WASO! Shiseido has created a unique Whole Cell Release System, which separates botanical cells so that none of the nutrients are damaged or lost. So in other words, your skin gets all the goodness from every ingredient. Another reason to shout from the roof tops about WASO is due to an added PhytoResist System+. This innovative addition to every formula couldn’t be better for young adult skin, as it strengthens and nurtures, which in turn helps to boost the skin’s ability to defend itself against external aggressors – the perfect fix for city dwellers! A good cleanser is the foundation of any efficient skincare routine. 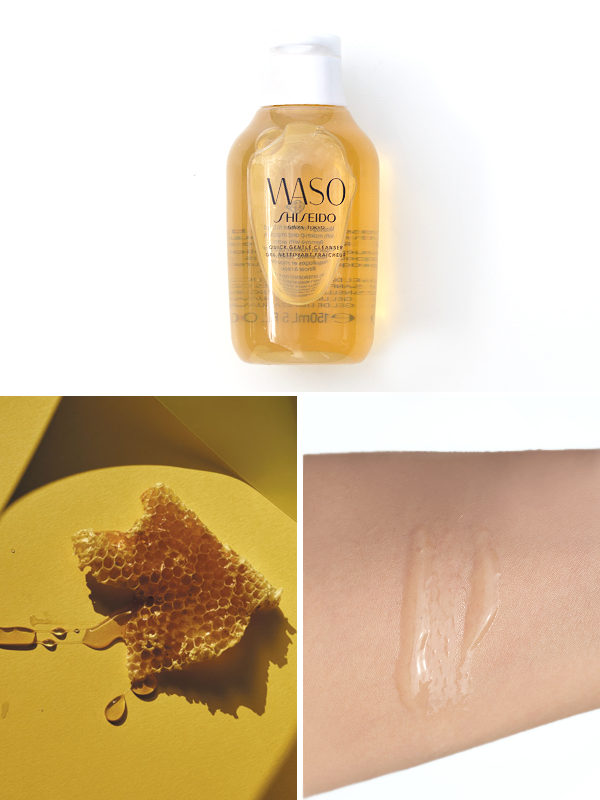 So, unsurprisingly Shiseido has unveiled a super-effective cleanser that’s all about ridding the skin of impurities, with a little help from honey. Renowned for its antibacterial powers, honey is valued as a health and beauty food in Japan and plays a vital role in this foaming cleanser; washing away dirt and excess oil in an instant. Great news for skin: honey does far more than just purify! The royal jelly honey is packed with amino acids, as well as minerals and vitamins, which help to deeply moisturise skin. Designed to foam without water for easy cleansing, the WASO Quick Gentle Cleanser is everything you could want from a face wash and more. 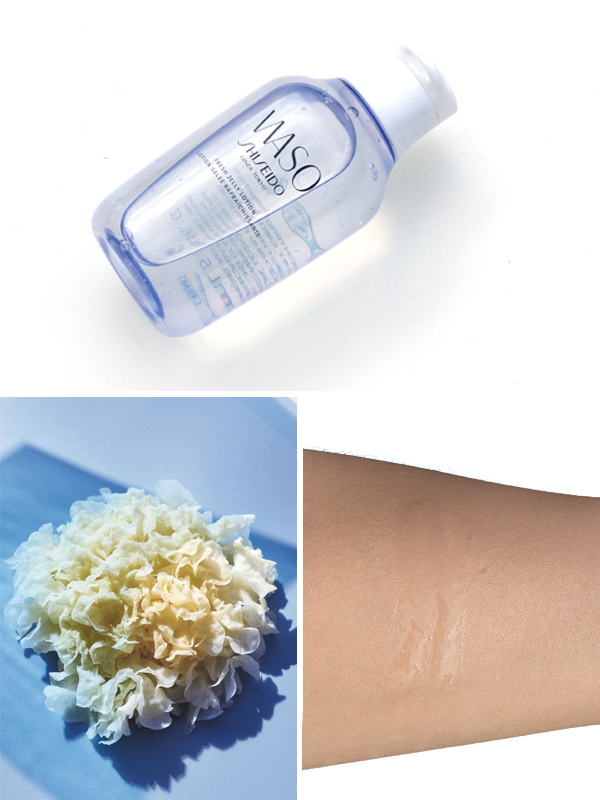 There’s nothing I love more than a foaming exfoliator, and WASO has the perfect one! 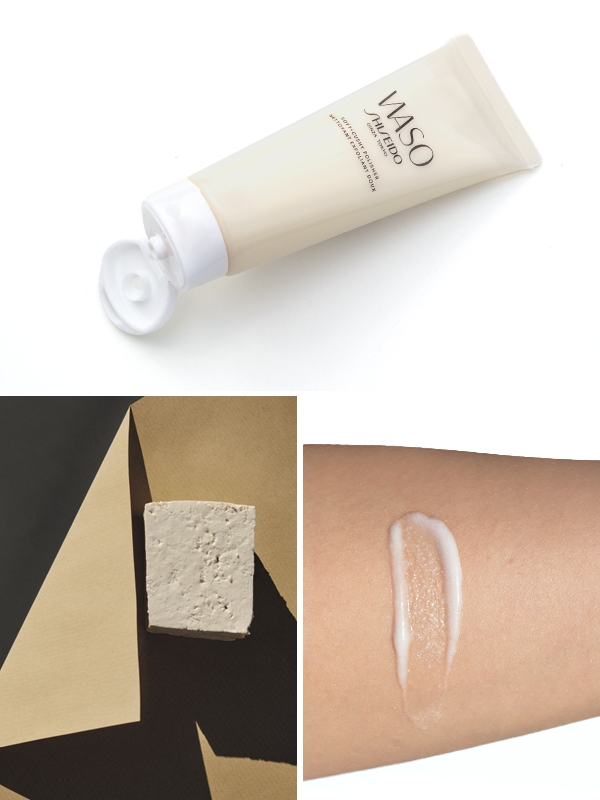 A match for all skin types (including sensitive), the WASO Soft + Cushy Polisher has a gentle yet effective formula that refines the complexion without any irritation. At the heart of this exfoliator is tofu, made from soybean curd, alongside plant-based cellulose granules and sebum absorbing powders. This hard working trio removes dead skin cells and impurities from the skin, so that the complexion is balanced and soft after every use. When in contact with water the formula lathers slightly, creating a whipped creamy texture that sweeps over skin with ease, taking all traces of dirt and excess oil with it. If you suffer from a dehydrated or dry skin type you’ll want to take note of this hydrating gel-cream. Formulated with yuzu seed extract and carrots that are high in water and nutrients, this skin-quenching formula provides the skin with serious nourishment. But hydration isn’t all this moisturiser has to offer. Glycylglycine will help to reduce pore size, while peony root extracts will work to diminish the appearance of imperfections, so that the complexion looks fresh and unified. With a refreshing gel texture, the moisturiser melts into skin immediately and can be applied underneath and over the top of makeup. Oily skin? You’ve found your new go-to moisturiser right here. Made specifically for combination skin, this mattifying emulsion helps to balance and hydrate in one. Thanks to its key ingredient, loquat leaf, the moisturiser not only absorbs excess oil but suppresses sebum secretions with its antioxidant effect. And because oily skin can often become blemished, the innovative formula contains peony root extract to minimise the appearance of imperfections, as well as sebum absorbing powders to tackle pore-size. No moisturiser would be complete without some hydration – even one for oily skin! 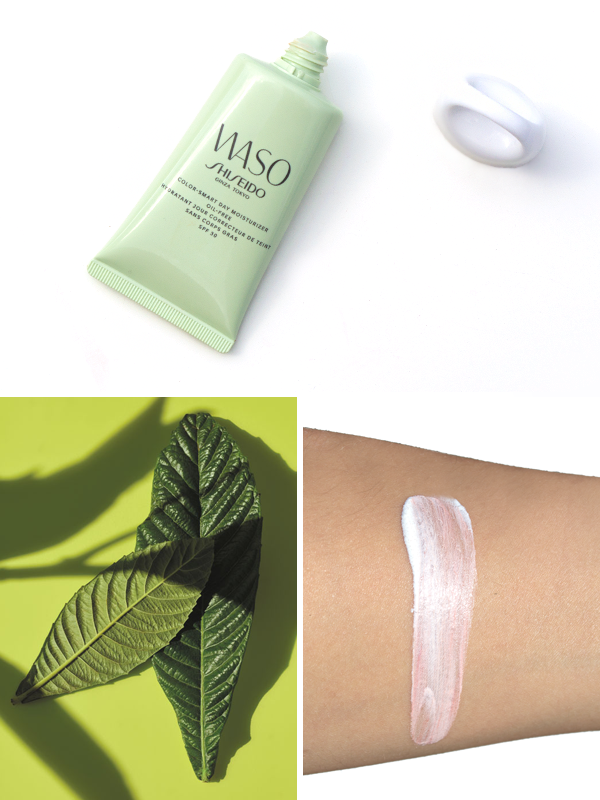 The WASO Quick Matte Moisturizer Oil-Free has nourishment in the plenty with added glycylglycine and yuzu seed extract, which delivers 24-hour moisture. Not to be mistaken as a toner, the WASO Fresh Jelly Lotion is like a shot of dewy hydration that will brighten, plump and hydrate. The next step after cleansing, this skin-quenching formula harnesses the power of white jelly mushroom extract, aqua-in-pool and glycerine, to restore and maintain the skin’s optimal moisture levels. With a gel-to-liquid texture, the Fresh Jelly Lotion is a pleasure to apply, cocooning skin in a veil of moisture that instantly refreshes and cools the complexion. Think that’s it? Think again! The lotion will also help to reduce the look of redness and pores, ensuring skin is fully prepped and ready for your skincare routine. More than a moisturiser, the WASO Color-Smart Day Moisturizer SPF30 is your hydration, sun protection and colour-correction in one. The last step in your skincare routine, before makeup, this refreshing cream will prep your skin for the day ahead. The color-adapting formula contains carrot and glycylglycine for hydration and color changing powders to enhance the skin’s tone, so that the complexion is healthy and luminous. Anti-pollution powders and a botanical-rich PhytoResist System+ take the spotlight next, helping to reduce shine and protect skin from daily aggressors. The kind of ally your skin needs, this moisturiser will give you peace of mind that your skin is protected, whatever enviornment you’re in. Think you’re seeing double? This innovative formula is available in an oil-free formula too, just for oily skin types. Designed with balance in mind, this mattifying, oil-free formula combines color changing powders and glycylglycine to even the skin’s tone, reduce pore size and prevent the appearance of imperfections. 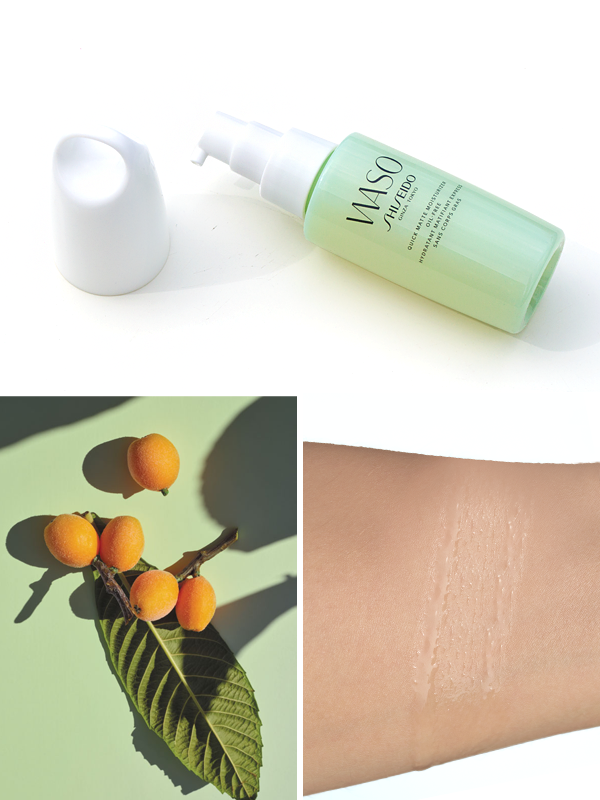 The antioxidant power of loquat leaves is harnessed in the heart of the formula, balancing the skin’s oil levels. A must-have for those that want to stay matte and shine-free all-day, this lightweight, the color-adapting formula will combat all of your oily skin concerns, whilst protecting from sun exposure and daily aggressors, thanks to added broad-spectrum protection and PhytoResist System+. This entry was posted on Thursday, September 7th, 2017 at 11:43 am and is filed under Brand Focus, New products, Skincare, Spotlight On, Swatches. You can follow any responses to this entry through the RSS 2.0 feed. You can skip to the end and leave a response. Pinging is currently not allowed.